Both the North and South Marina, we have yachts and sailboats available in a unique position to be very close to the Formula 1 Valencia Street Circuit. Since these vessels berthed in exterior Marines, you can not see the race, but just around the circuit and is able to watch the race from two marinas at no additional cost. Hospitality Yachts. In yachts moored in zone 1, there is no visibility, but in exchange they enjoy being in the center of the VIP area of the Grand Prix. 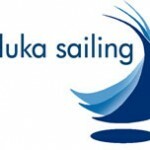 Contact with Illuka Sailing for more info. This entry was posted in Berths, F1-GP, Formula 1, Race, Valencia, Yachts and tagged Berths, F1, Formula 1, GP, Race, Spectator Boats, Street Circuit, Valencia, Yachts. Bookmark the permalink.